First on MNP: As discussions continue about the future of Mitzi Borromeo at CNN Philippines, a high-profile talent is leaving the local CNN station. Media Newser Philippines has exclusively learned from multiple sources that Sports Desk anchor Mico Halili is leaving the network. According to our sources, the veteran sports broadcaster has already informed the top management at CNN Philippines about his decision and will soon be stepping down from his current anchor post. 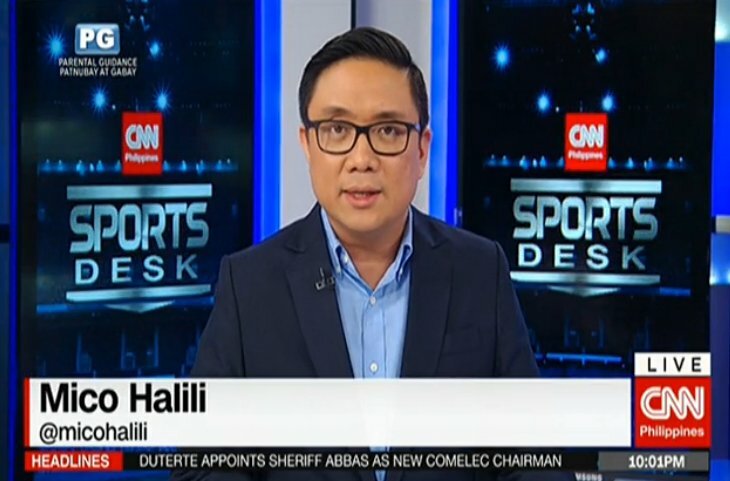 Halili came to CNN Philippines from Sports5 in 2015 to co-anchor the long-running Sports Desk. Originally paired with Cesca Litton, Halili became its solo anchor in January of 2016. A popular figure in the world of sports broadcasting, Halili also works part-time for ABS-CBN Sports as the lead anchor of its UAAP coverage. Previously, he worked for GMA News Online as host of the webshow FTW (For The Win), Solar Television, and ABC5 (now known as TV5).